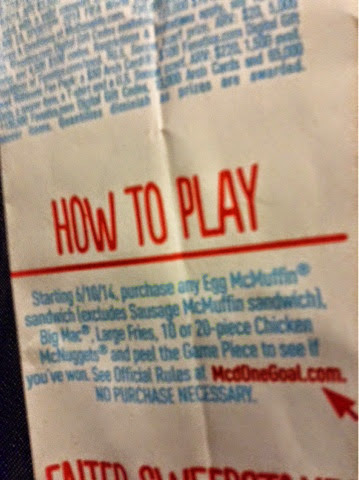 5 lessons from a MCDonalds wrapper | Happenings, Marketing and Technology Advice and Thoughts! 1) How are we doing ? 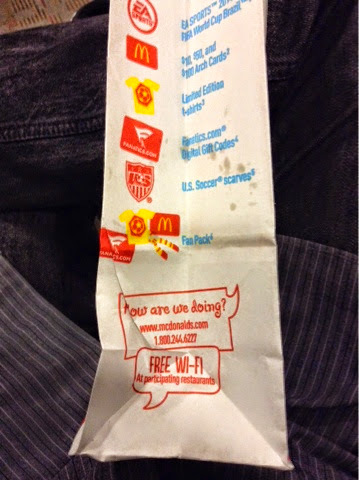 For a fast food restaurant, McDonalds pays a lot of attention to feedback. They have placed messages on wrappers, on cash counters and decals in strategic places so you are sure to find it if ever you are not satisfied. It's soccer season. It must be a huge logistical project to get this to all the stores. McD seems to be very good at these campaigns. 3) Use of QR codes to provide nutritional information and also game codes, saves space on the wrappers. 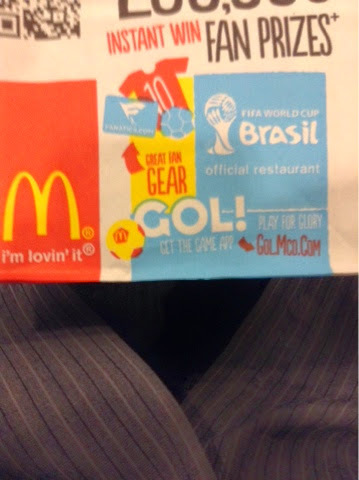 4) smart use of domain names : golmcd.com and mcdonegoal,com. 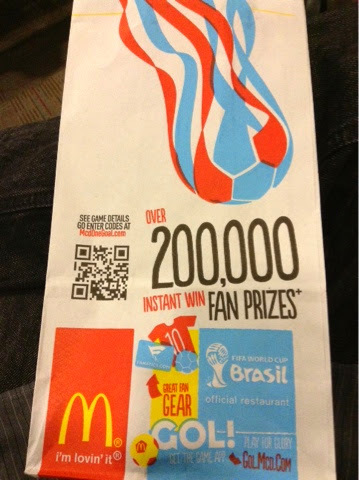 I bet depending on traffic McD can track which art of the wrapper drove higher engagement.